Linda Kits-Mägi completed her studies at Pallas in 1943 but did not earn broader recognition until her major solo exhibition that was held 17 years later. She was one of the few female artists who had completed that school and had also made it as an artist. It is perhaps interesting to note that even though the “Pallas style” can be associated primarily with so called “soft values”, the artists of this style were nevertheless primarily men. True enough, women did study at Pallas – and surprisingly many, yet most of them disappeared between the walls of the home after finishing school and they did not develop into artists who publicly presented their works. Linda Kits-Mägi was Elmar Kits’s wife and had graduated from the Pallas Art School. She was one of the few female artists from the Pallas school who continued to paint after finishing school. 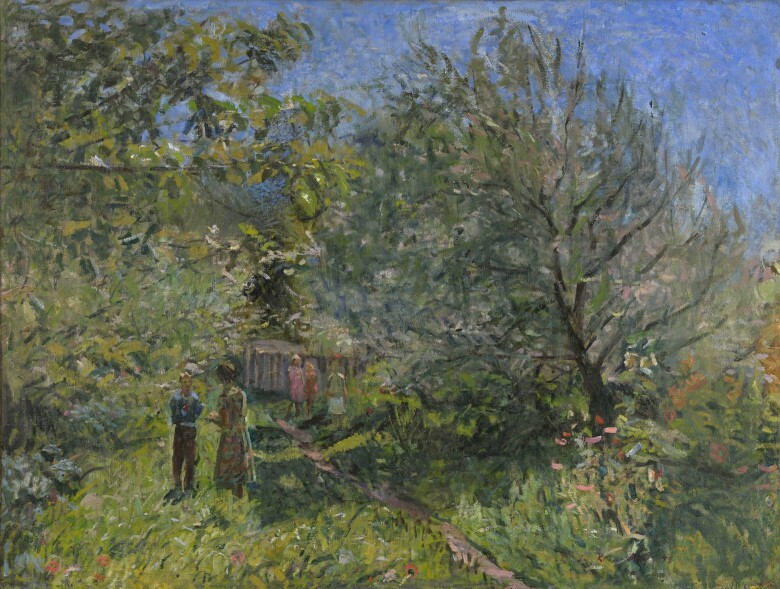 This work completed in 1961 is characteristic of Kits-Mägi. 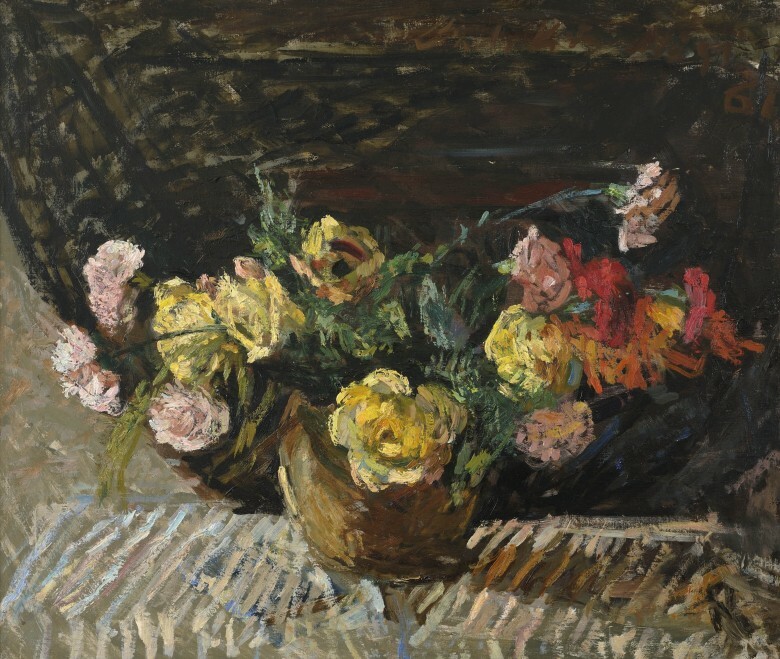 She often painted still-lifes with flowers and as a rule, she placed vivid and multicoloured flowers in front of a relatively neutral background, which helped to emphasise the colouring of the flowers even more. As a surprising detail, Kits-Mägi has signed her work with large lettering along the upper edge of the painting, as if emphasising her personal relationship with the motif that was being depicted.